I think it may be time to once and for all put the Olympics out of its misery. Read on to learn how London is designing a police state that North Korea would be jealous of. I think it may be time to once and for all put the Olympics out of its misery. The Olympic ideal — sport for sport’s sake — is now corrupted by the immense financial aspect. The money that flows into the coffers of the IOC and distributed to contractors is like that of a government. And during the Olympics, the host city basically creates a state within a state, where IOC law rules. 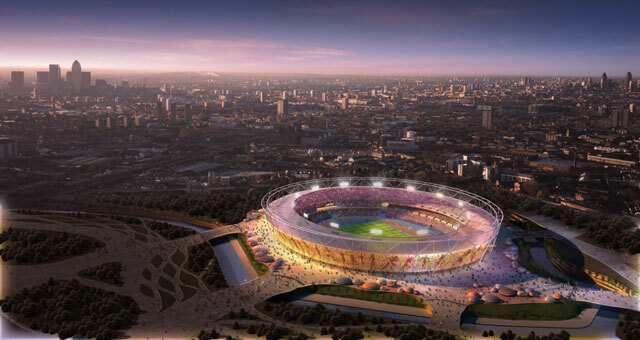 The London Olympics will host the biggest mobilisation of military and security forces seen in the UK since the second world war. More troops – around 13,500 – will be deployed than are currently at war in Afghanistan. The growing security force is being estimated at anything between 24,000 and 49,000 in total. Such is the secrecy that no one seems to know for sure. Beyond these security spectaculars, more stealthy changes are underway. New, punitive and potentially invasive laws such as the London Olympic Games Act 2006 are in force. These legitimise the use of force, potentially by private security companies, to proscribe Occupy-style protests. They also allow Olympic security personnel to deal forcibly with the display of any commercial material that is deemed to challenge the complete management of London as a “clean city” to be branded for the global TV audience wholly by prime corporate sponsors (including McDonald’s, Visa and Dow Chemical). London is also being wired up with a new range of scanners, biometric ID cards, number-plate and facial-recognition CCTV systems, disease tracking systems, new police control centres and checkpoints. These will intensify the sense of lockdown in a city which is already a byword across the world for remarkably intensive surveillance. This creation of an immense police state will cost at least $17,000,000,000. For an event that lasts 17 days. In London, a citywide system of dedicated VIP “Games lanes” are being installed. Using normally public road space, these will allow 4,000 luxury, chauffeur-driven BMWs to shuttle 40,000 Olympic officials, national bureaucrats, politicians and corporate sponsors speedily between their five-star hotels, super-yachts and cordoned-off VIP lounges within the arenas. It has recently been shown that wealthy tourists will be able to enter the VIP lanes by purchasing £20,000 package trips. Ordinary Londoners, meanwhile – who are paying heavily for the Games through council tax hikes – will experience much worse congestion. Even their ambulances will be proscribed from the lanes if they are not running blue lights. More broadly, a huge increase in land values tends to benefit only the wealthy property speculators and financiers that are best placed to ride the wave. Already, the Qatar royal family have bought the 1,400 homes of the Olympic village in a deal worth £557m. This may go down in history as the most expensive, repressive, rich-oriented Olympics in history. The question is, will it be surpassed in 2016? Or will the Olympic ideal return?